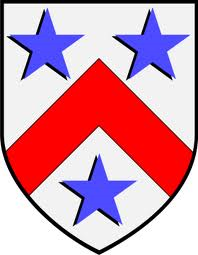 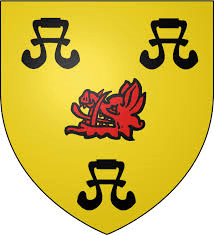 , whereas the silver stars are taken from the arms of a fourth important family, the Baillies of Lochloy, an illustration of which appears to be unavailable. The nature of these arms, manifestly crafted to embrace a range of locally meaningful emblems, makes them an obvious idea for use as a county flag – the armorial banner derived from them is thus the proposed flag for the county; the body that once bore these arms no longer being in existence. 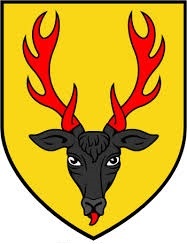 This circumstance is the same as that of Middlesex, Cheshire, Cumberland and Westmorland all of which now have county flags that were once banners of the arms of their respctive county councils. 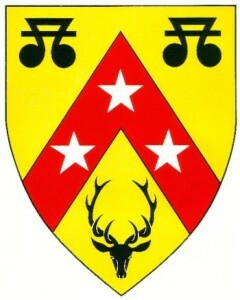 This entry was posted in Nairnshire. Bookmark the permalink.